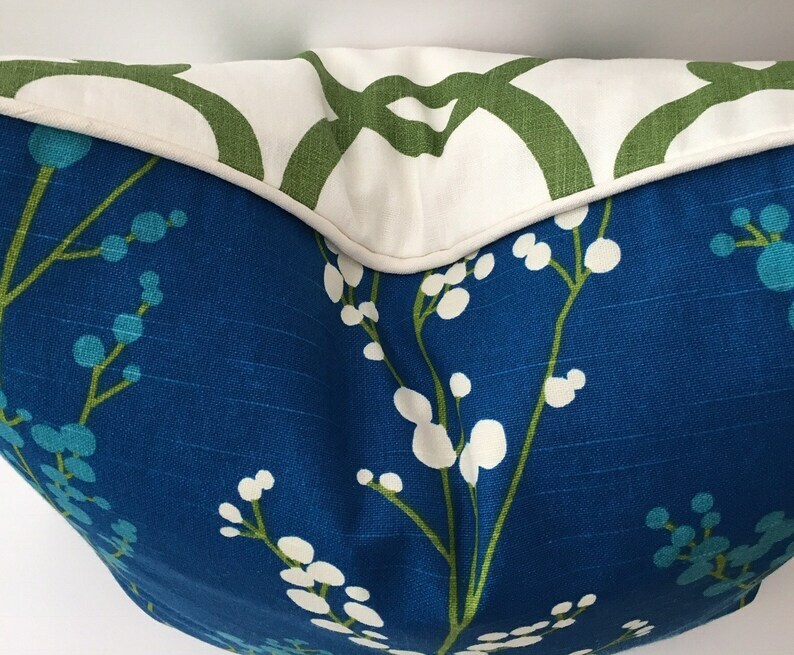 Bright blue floral front, green trellis on white back, accented with white corded edge. Sure to add a pop of color to your decor. Professionally hand made in my workroom, zipper closure, lined.